Apply organic products early in the morning when bugs are eating. To stop insect damage, the spray must be applied to the insect itself or sometimes to where the bug is eating. 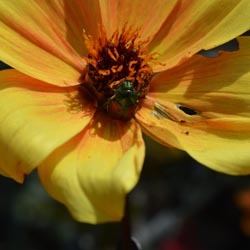 The entire plant must often be sprayed to keep the pests from moving on to untreated areas. Organic controls include insecticidal soap, Bonide All Season Spray (horticultural oil), Captain Jack’s Dead Bug Brew, tobacco dust, bacillus thuringiensis (Bt), rotenone and pyrethrin sprays. Inorganic in composition, these insecticides must be applied either to the insect or the leaf where the pest is feeding. Apply in the morning for best results, and as with the organic controls, soak the entire plant so the insects do not find a safer spot to nibble. Contact pesticides include Malathion and Sevin. Systemic insecticides circulate to all parts of the plant. Therefore, if you are only able to spray part of a shrub, the product will move to all leaves within 24 hours to control feeding insects for about two weeks. Systemics are best applied in the evenings when there is no chance of rain and sprinklers will not be used. The product will be absorbed only as long as the leaf stays wet. 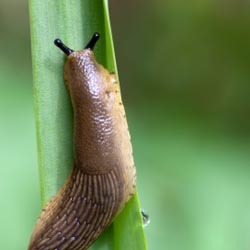 When the leaf dries by mid-morning, the product is then moved through the entire plant when the insects resume feeding. Systemic insecticides available to the homeowner include Bonide Systemic Insect Spray, Ortho Systemic Insecticide and Bayer Season-Long Tree & Shrub. Not sure how to deal with your pests and unwanted insects? This handy chart can help!